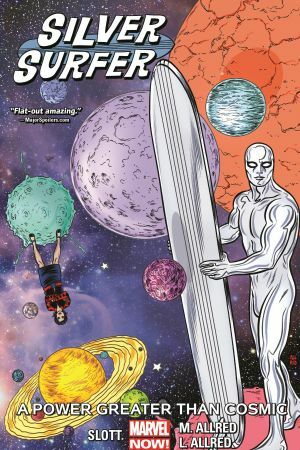 The Surfer and Dawn are back in space — and back in trouble! 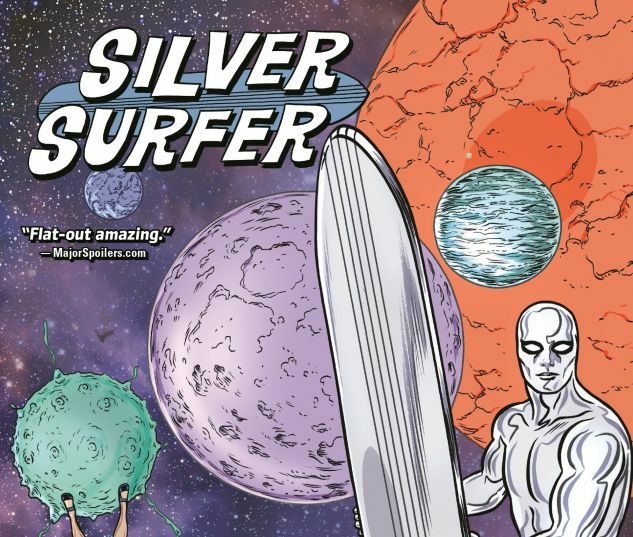 At the universe’s slickest space casino, Norrin Radd is going all in — and the stakes have never been this cosmic! When our heroes are accidentally swallowed by Jumbonox the Giganormous, their only hope is a society of sentient macro-microorganisms — who, through no fault of their own, might just be the deadliest disease in the universe! And on the hauntingly beautiful world of Inkandesha, the spacefaring couple might completely lose themselves! But will they finally be torn apart by the vengeful Warrior Zero — or a certain world-devouring former master? Is heartbreak in store for Norrin and Dawn? Theirs is the story of a love that ended before it started, and began after it died. But is it a love that can outlast the universe? 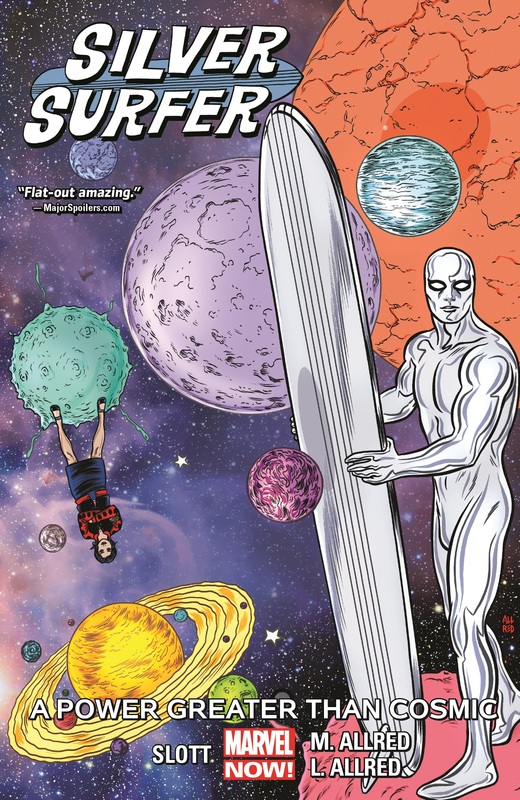 Collecting SILVER SURFER (2016) #7-14.